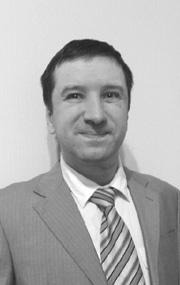 Andriy Kulko Andriy Kulko received Master's Degree in International Law and Master's Degree in Translation with high honors from National Taras Shevchenko University of Kyiv, School of International Relations. In 2009, he earned Ph.D. in International Law. Throughout his career Mr. Kulko worked as a lawyer at law firms, senior specialist with Legislation Institute of the Verkhovna Rada (Ukrainian Parliament) and served in several Of Counsel positions. Mr. Kulko’s areas of expertise include public international law, constitutional law, business and corporate law, criminal law, family law, labor law, land and real estate law. Mr. Kulko is the author of two individual monographs on public international law and has over 70 publications in scientific journals in Ukraine and abroad. Mr. Kulko is fluent in Ukrainian, Russian, English, and has a working knowledge of German.